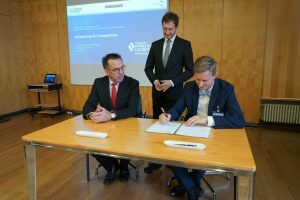 Bombardier Transportation and the Technical University of Dresden signed a research framework agreement for the first two research projects for which Bombardier will invest EUR 500,000. 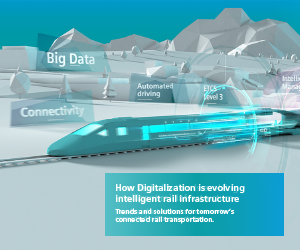 One project is aimed at programming innovative software to be used in the development of new train models. The plan is for the software to provide forecasts regarding the operating noise inside trains. It is hoped that this technology will make an important contribution towards noise reduction as early as the development phase and hence enhance travelling comfort for new trains. 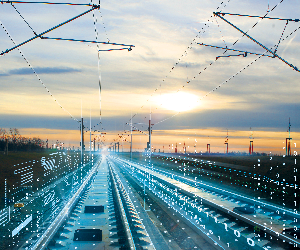 The second project focuses on developing a smart measuring system for track profiles in close cooperation with the Bombardier site in Bautzen. The new system can be temporarily fitted on any vehicle, enabling it to provide valuable data on the infrastructure during travel. The data collected is then utilised to develop new vehicles for the corresponding rail network. In addition, under the new system the operators can draw on the data to investigate whether the use of non-fleet vehicles, for instance from neighbouring cities, is possible on their rail networks. If need be, the capacity of the relevant network can be increased in this way. “The research cooperation is good for both partners. It’s also a win-win situation for the whole economic and scientific region of Saxony. Because projects like these are a good catalyst for innovation – and innovation is important for prosperity and employment in our federal state”, declared State Premier Michael Kretschmer said at the signing ceremony. 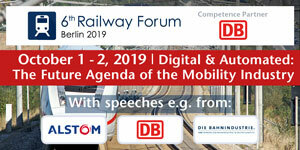 This agreement represents a continuation cooperation between Bombardier Transportation and the Technical University of Dresden that was initiated in 2007.